Osmeña came to see Quezon, but the latter was closeted with Supreme Court Justice Frankfurter, so Don Sergio came to my room for a talk. His purpose was to suggest the introduction in the speech tomorrow of a strong statement Quezon had made in October 1941 in Manila in which he stressed the absolute necessity for the Filipinos to join with the United States if they were drawn into the war. I think Quezon will use it. I asked Osmeña about the early days of American government in the Philippines. He said that General Franklin Bell as Provost Marshal of Manila was considered by them as a liberal. Frank McIntyre was the first American he ever met. Osmeña was then editing a newspaper in Cebu and McIntyre was the Military Censor there. General MacArthur (the father) was Military Governor of the Philippines for only a short time–then he had a row with Mr. Taft over turning over the government to the latter. Osmeña and Quezon were then governors of their respective provinces and together founded the Nacionalista party, but advocated co-operation with the Americans–which produced a storm of protest. The opposition to the Americans, however, came rather from the Spanish and Spanish mestizos than from the bulk of the Filipinos; Quezon was an exception. Dr. Pardo Tavera was active in opposition to America. Don Sergio said that another time they would not fortify the region around Manila, which is indefensible; it is better for them to have their capital in the mountains of Pampanga or Tarlac–says at Fort Stotsenburg, which can be defended. He thinks that with the help of the United States the damage now done to the Philippines can be repaired in a comparatively short time. Our talk was then mostly about Japan. He said he had first met Matsuoka when the latter was head of the South Manchuria Railway; at that time, Matsuoka talked very frankly against the Chinese policy of his own government and ridiculed the idea that an indemnity should be exacted by them from China. “Why,” he asked “should we make them pay when we ourselves have invaded and devastated their country?” Quezon believes that he himself might have been asked to be a referee between China and Japan except for the complete control of Philippine foreign policy by the United States. I expressed again to Quezon my regret that Professor Africa’s plea in 1936 for the training of young Filipinos in American consulates which I had at that time favorably recommended to him, had not been allowed by the United States. He replied that Secretary of State Hull had, at the time, agreed to the proposition and he supposes it had been blocked by some clerk in the State Department, or possibly a chief of bureau. Quezon then turned to the subject of his luncheon with the Emperor of Japan. The presentation and wait before lunch were very formal. Then the Minister of the Household disappeared and they sat down at the table. Quezon was to the left of the Emperor, whose brother was on his right and on the other side of him sat American Ambassador Grew. Grew’s deaf ear was turned towards the rest of them, and the Emperor’s brother talked very loudly into it. This enabled the Emperor to have a quiet conversation with Quezon. His Majesty spoke English, but an interpreter stood behind his chair; he asked a good many questions of Quezon, and Quezon of him. Afterwards, Grew asked Quezon what they had talked about, especially when the Emperor and Quezon were alone in the “study.” Quezon refused to tell what the Emperor had said to him, and also what he, himself had said in reply, stating that it would be insulting if Grew suggested that he, Quezon, had said anything disloyal to the United States. This was in February, 1937. Turning back to the subject of Japan once more, Quezon said he was sure Prince Konoye tried to prevent war between Japan and the United States. He sent Nomura over here as Ambassador to this country. When he saw he was going to fall. Prince Konoye resigned as Premier. Finally, Quezon observed that Siam had made a mistake in joining even nominally with Japan; that France and England are no longer able to parcel off pieces of Siam for their own Empires, and would never be so again. Sic transit gloria mundi. The last week has been one of the most trying ones I’ve had on the P.I. There has been an unusually large number of difficult administrative problems to handle with the Army staff, (and incidentally I heard that the Pres. was astounded and furious at the size of our Budget). But the cause for special perturbation was the receipt by the Gen. of a letter from the Chief of Staff informing him that he would be relieved and ordered home on the October transport! The chief assistant to the Genl. in the ensuing conferences, proposals, speculations, arguments, etc., etc. [. . . ] has become (or maybe always has been) a master bootlicker. From the start T.J. and I counselled moderation –and at least initial dependence on Mr. Quezon’s efforts to have the order revoked. He agreed to send any radio proposed by the Gen. to accomplish such revocation, and we got up one worded as strongly as it possibly could be. We are informed that the Pres. secured the H.C.’s favorable endorsement to that radio. But we had no sooner submitted the draft of that radio to the Pres. when a hundred other schemes were proposed here and there to “help out”. We wrote drafts (under instructions) of radios requesting retirement, of others protesting the “unjust and arbitrary procedure” of the W.D. while listening for hours on end to hypotheses and so called deductions as to what had occasioned the order. Gradually it percolated into the Gen’s head that the theory lending the greatest hopes for a successful outcome (from his standpoint) was one that held the C. of S. solely and exclusively responsible for the action. The motivation was, under this theory, jealousy; fear of the growing stature of Gen. MacA as a world figure; egotism; revenge by the “Chaumont crowd”, and hopes of pleasing the “pacifistic, subversive element that surrounds the President”. The defense T.J. and I put up was simply that we should give as much credit to the C of S for being an honorable person as we should to people like Murphy, McIntyre, Coy, etc., etc. We emphasized that we’d done what we could, when we prepared the telegram for Mr. Quezon’s signature. We insisted on waiting for an answer before making another move, since his wire was addressed to the President of the U.S. Finally the old habit of accusing every assistant who did not concur without reservation to hysterical theories and arguments with being a blockhead, an ingrate, a stupid dolt and so on manifested itself, so T.J. and I perforce stopped arguing. Finally the General shot off a “protest” wire to the C. of S. –and was answered promptly. The nature of the reply was that the President had decided, in view of world conditions, that a soldier of the General’s reputation and abilities (and youth) should be in the U.S. His date of departure is put off until February. I hope the subject will now cease to be a topic of conversation. I’m worn out!! Every time one of these “tempests in a teapot” sweeps the office I find myself, sooner or later, bearing the brunt of the General’s displeasure, which always manifests itself against anyone who fails to agree en tote with his theories and hypotheses, no matter how astounding they may be. These comic opera wars never center about any problem incident to the “job” we are on. They invariably involve something personal to the Gen.; I could be the fair-haired boy if I’d only yes, yes, yes!! That would be so easy, too!! Trip with Doria to Ifugao to hunt on Colonel William E. Dosser’s ranch. Interesting, strenuous with terrific heat and a very long ride on ponies from Marasat, Isabela to the ranch house. Doria and I motored to Balete pass rest house the first afternoon–3000 ft altitude–cold at night. Last time I went thru here was on horseback in 1920, with Beth, Virginia, General McIntyre and Don Serafin Linsangan–hence arose the impulse to build this road; a difficult bit of engineering which has since tripled the population of Nueva Viscaya and Isabela through immigration. Even today, there are numerous families with all their household goods in bull or carabao carts moving in, chiefly over the high mountains from the Ilocos country. Some also enter via the old Villaverde trail from Tayug–which was almost impossible by horse in my day. The road leading up to Balete passes thru a wild and beautiful camping country with clear streams rather like northern California–now settling up. The equal of a train load of goods for or from the valley of the Cagayan passes over this mountain road every day by truck. The second range of mountains–between Nueva Viscaya and Isabela–has only a one way road, with terrific zig-zags and much delay. There are numerous tolls for the permanent or temporary bridges, which makes the passage quite expensive. At noon, on the 16th we reached the army post at Echague, where Lt. Dionisio is in command. Echague is still in a backwater in spite of the thru road. It appears to be dull, stale, flat and weary, and is still in the grip of Chino store keepers. There, Dosser and Lieutenant Beulan met us, and at Marasat after ten miles of hellish rough and dusty barrio road we met Lt. Baccay with his four soldiers from Miayaoyao. Were told we could not make camp that afternoon, and had to spend a typical barrio night in Marasat, surrounded by dust, noises, smells and filth–pigs, dogs, chickens and carabao–garlic etc. This finally put Doria and me off eating for the trip, and the rest of the time I subsisted on tinned milk–being ill anyway. The barrio teniente brought in a wounded eagle which he carried peacefully under his arm–with a cord on its leg. This bird stood with superb disdain and pride while the barrio folk inspected it–Dosser let it go later. General MacIntyre called to say good-bye. I asked him whether I should stay on here, and he expressed approval. Said they had gotten started so well it would be a pity if they made a mistake, and I might be able to advise. He announced he would retire as Trade Commissioner in Washington, after a few months, but did not wish to stay on here, and was leaving on the Empress this p.m. Remarked that trade relations between the United States and the Philippines might be improved over the provisions of the present Tydings-McDuffie Act, but only if prosperity returned to the United States. Said at present there is always somebody about in Congress to be nasty. Lobbyists are everywhere in evidence. The Farmer’s Union is rather like Trade Unions –Chester Gray, their lobbyist is consulted by Congress in everything they do concerning agriculture. Recalled how Woodrow Wilson had driven out all the lobbyists –“it was funny how they all fled for cover.” Said he was going to lunch with Quezon to say good-bye. 11 a.m. Saw Quezon make his official call on High Commissioner Murphy at the Manila Hotel. Four skeleton companies of the 31st Infantry U.S.A. (only American regiment left in the Philippines) paraded. Quezon’s car was accompanied by three motor cycle cops –19 guns fired. Inauguration of Manuel L. Quezon as President of the Philippine Commonwealth. His inaugural address was his best speech. The Secretary of War also made an admirable address. The ceremonies were perfectly carried out. The crowd was immense, but there was not much shouting. the old walls of Spanish Manila made a picturesque historical background for the memorable transfer of executive authority from the United States to the Philippine government. Military parade was blocked by mobs. Osmeña looked very serious, and very much the gentleman. Altogether, it was a moment of wonderful sentiment for me. Governor General Murphy now becomes the first American High Commissioner –he left the ceremonies when his own part was finished, and went to his rooms in the Manila Hotel to receive the official call of the Admiral and of the Commanding General there. He told me a few weeks ago it looked as if there might be no inauguration: Aguinaldo was proposing to raise 60,000 men to march on Manila in demonstration of his opposition. He remarked that bloodshed would have been inevitable. I congratulated him on having put his hand to the plough, and then having finished the furrow. The Governor General seemed very tired. One of the interesting features of the inauguration was the presence there of Quezon’s little son, in uniform with a.d.c. aiguilletes on his right shoulder –an honor paid only to a President or to a Field Marshal. General MacArthur sat next to Doria during the ceremonies. Dinner for the Secretary of War at President Quezon’s house in Pasay; very well done indeed. Quezon was tired but happy –General MacIntyre, General Cox and Admiral Murfin– Doria sat next to General MacArthur at the table– there was an air of satisfaction among the guests. After dinner, we went to the Inaugural Ball which was opened by President and Mrs. Quezon. The auditorium was not overcrowded –people, especially among the Congressional party were pretty well tired out. Colin Hoskins told me that since this was the most weighty Congressional party ever gathered officially out of Washington, its visit has not only given great weight to the new government among Filipinos but had deeply impressed the “Old Guard” Americans here. The auditorium was beautifully lit and the whole affair in very good taste. Colin hopes that the new High Commissioner will assert American prestige here, and not be merely an “Ambassador.” General MacArthur told Doria that the position of High Commissioner at present was very “nebulous”; that he himself might take it if offered him –combining the duties of that and military adviser. The Secretary of War told Doria how he and the Governor General had visited Aguinaldo in Cavite giving only one hour’s notice of their coming, so that a crowd (of demonstrators) could be avoided –“nevertheless when they arrived at Kawit, there were two thousand people there”! Called at Pasay. 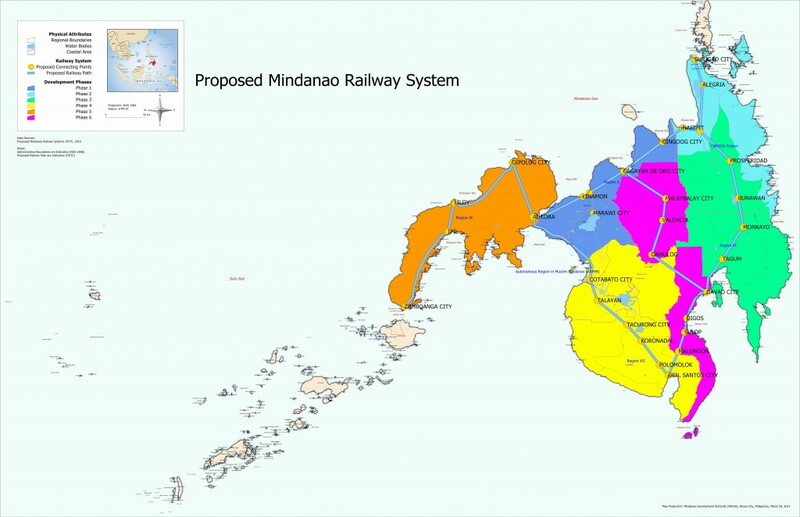 Quezon was closeted with General MacIntyre, General Creed Cox (Chief of the Bureau of Insular Affairs), Osmeña, Roxas, Paez and Carmona –I believe they were discussing the subject of the bonds of the Manila Railroad. Later, had fifteen minutes talk with Quezon, who told of his learning that the Governor General and Secretary of War were going ahead after all with defining the High Commissioner’s prerogatives. Quezon says he got out of bed and drove to Malacañan; the Secretary of War offered to leave the room , but Quezon asked him to stay so that he could hear what he said to the Governor General. Then Quezon went for the Governor General who, in reply, spoke of the army and navy. Quezon replied that while some of his best friends were in the army, that body as an institution seemed unable to think rationally on some subjects. The Governor General offered to resign as High Commissioner, if he had forfeited Quezon’s confidence, but the latter replied that this was not necessary. Then Quezon told the Secretary of War that the army had even “betrayed” an American Governor General (me). That if they tried on anything now he would ask the President to withdraw the United States Army, and he would take over the defense of the Philippines himself. He then told the Secretary of War that if he would treat him frankly and “without mental reservation” he would find that he was always ready to come half way to meet American views, but that if he conducted plans behind his back, he would get no co-operation from him, and then all that would be left for the Secretary of War to do would be to order his soldiers to shoot him. Quezon thinks this has definitely settled the relations between the Philippine Government and the army; says he reminded the Secretary of War how he had gome to Washington to get the Hare-Hawes-Cutting Act amended just so as to cut out a provision retaining the army here after independence. Quezon thinks he had now nothing adverse to expect from the office of the High Commissioner. Another subject discussed at this animated meeting just before the inauguration of Quezon as President of the Philippine Commonwealth, where Secretary of War Dern and Governor General Frank Murphy “went to the carpet” with President-elect Quezon was the question of the number of guns to be fired by the American Army to salute the new government. This salute had already been fixed by the Secretary of War, before his arrival at Manila, at 21 guns. Later, after his first few days in the Philippines, Secretary Dern changed his mind, yielding under American “Old Timer” influence in Manila (Quezon thought through Murphy, on the instigation of the Bulletin), so it was decided to make the salute only 19 guns. Quezon heard of this by chance, so he hurried to the meeting at Malacañan Palace, where Dern and Murphy were in conference. Quezon told them both that he did not like this being done behind his back; that he would take his oath of office in his house in Pasay, and would not attend the inauguration; that he was only a farmer’s son (and a poor farmer) and all his life had found ceremonies irksome, but this matter of the salute was one affecting the new Commonwealth. Quezon stated that Murphy turned blue and Dern pink. He told them they had selected the wrong man to trample on –that no Secretary of War had any authority over him– not even the President could remove him unless he used his Army to do it and he intended the United States Government to understand this right at the beginning. That if, by the Tydings-McDuffie Act the United States intended to give sham self-government to the Filipinos, as the English had to the Egyptians and to the Indian Princes, he would not be a party to it. Dern very decently said he appreciated the way Quezon was talking. Thereupon, President Roosevelt was brought in by cable, and he sent a personal appeal to Quezon to go through with it, which the latter accepted, rather than embarrass Roosevelt and make the Congressional delegation appear ridiculous. Quezon adds that after this “brush,” his stomach ulcer cleared up, and he got well again. Went to B[ureau of].I[nsular].A[affairs]. this a.m. and met Gov. Roosevelt. He is a small wiry fellow, broad grin and an evident desire to please. Osmeña’s luncheon was held this noon at the Shoreham, (26 covers) and all went well. Present were (in addition to our crowd) Davies, Mrs. Davies, Gen. and Mrs.McIntyre, Miss McIntyre, Gen Parker, Gen Wickings ? Gen. and Mrs. De Lamuy?, Mrs. Hull, Miss Hull, Mr. and Mrs. Brunn ? Mr. and Mrs. Parker, Mr. Swityer ? and R. Owen. It was Gloria’s first appearance and a favorable one. Worked all afternoon and evening. O[smeña] dropped in and we had a long chat. The Mission was introduced to the Roosevelt this afternoon at the office of the Sec. of War. Theodore Roosevelt Jr. (Sept 13, 1887-July 12, 1944) eldest son of Pres. Theodore Roosevelt, he was Governor General of the Philippines from Feb 29, 1932- July 15, 1933. Ruth Bryan Owen (Oct 2, 1885-July 26, 1954) a Democrat, was Florida’s first woman representative in the US Congress. She sat on the House Foreign Affairs Committee. Posted on January 11, 1932 December 10, 2017 Author Manuel L. Quezon IIICategories Diary of Marcial LichaucoTags Frank MacIntyre, Homer Cling Parker, Joseph E. Davies, Marcial Lichauco, Ruth Bryan Owen, Sergio Osmeña, Theodore Roosevelt Jr.